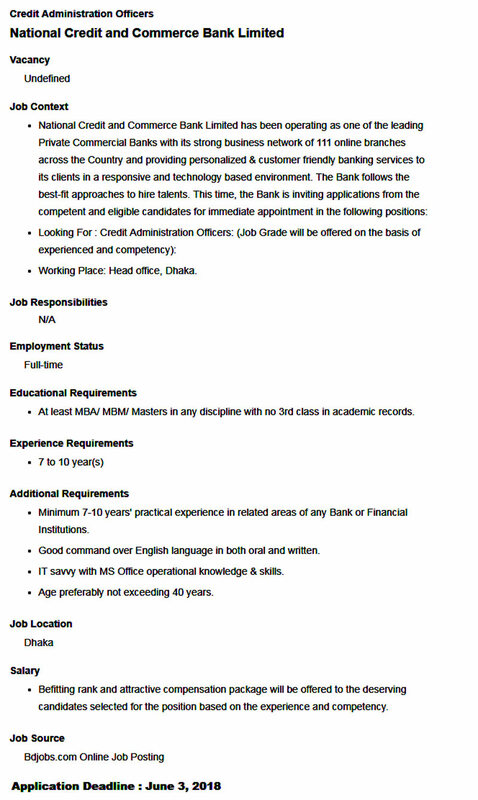 NCC Bank Limited Job Circular 2018 has been published on NCC Bank official website www.nccbank.com.bd for the vacant position of Head of Treasury Operations. National Credit and Commerce Bank Limited is one of the best commercial Bank in Bangladesh. NCC Bank Limited Job Circular 2018 related all information and circular has been available on my website. Banking service is all about choosing one’s own vision; it’s more than about choosing his/her job. 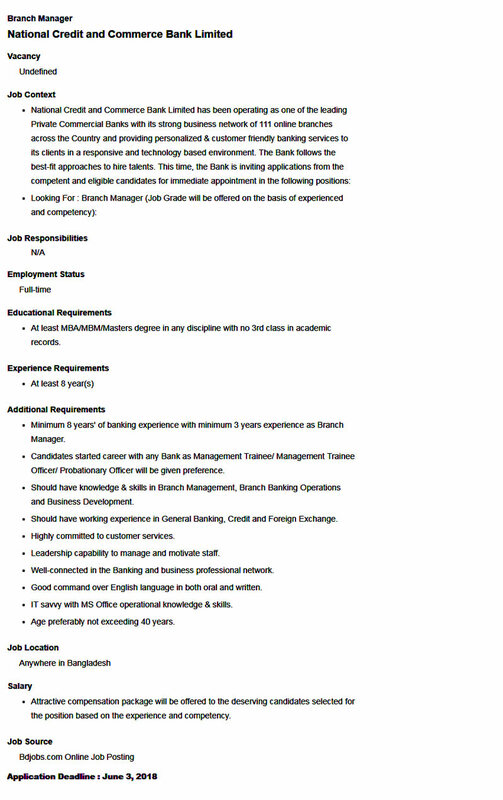 So the interested and eligible candidates are requested to apply through online for the positions. To know more details please see the original Job Circular. The last date of applies for positions 3rd June 2018. NCC Bank Limited Job Circular 2018. National Credit and Commerce Bank Limited (NCC Bank) only shortlisted candidates will be called for the interview as per recruitment process. Any kind of persuasion/ canvassing in any stage of selection process shall be treated as disqualification. National Credit and Commerce Bank Limited (NCC Bank) reserves the right to accept or reject any application without any reason whatsoever. NCC Bank Limited Job Circular 2018.